DI Lucas Grant thought that he’d seen everything that Bayport had to offer. A grim town run by a crime lord with half the police in his pocket and no one willing to take a stand. But now something new is happening, something that makes no sense. Bank robbers who won’t stay down despite being shot multiple times, men returning from the dead to wreak havoc and death on his streets. Bayport might be a crime ridden hellhole, but it is still his town and outsiders don’t get to burn it down, not without a fight. Saddled with a new partner he can’t trust and forced into an uneasy alliance with the criminal who ruined his town Grant will finally have to make a stand. Forced to fight against the darkness he will get answers and find those responsible, wherever the truth lies and however incredible it might be. “ABRA-CADAVER” was a 2015 Kindle Book Review Finalist, an Indie Book of the Day winner and the 2016 Book Excellence Award Winner for Horror Fiction. Visit me at http://www.mattdrabble.com to download free short stories and the full length multi award winning novel “Abra-Cadaver” for free. Detective Lucas Grant has put in his time on the force and toed the line of good and bad. He’s a good detective with some dirt on his badge. We start the story as he gets a call for a bank robbery and meets his new partner, Leah Travis. Leah is a new recruit from the military that has connections and issues of her own. When they get to the robbery they discover the robbers don’t go down when they are shot. Grant also discovers someone that died one year ago is alive and involved in the robbery. Grant has done favors for a crime boss that saved his life. But it’s time to put his foot down and take a stand. But how far can he trust his new partner with her own secrets? I really enjoyed this book. Of course it has zombies but they are more of a highlight to this story instead of the typical apocalypse stories you read. This is more of a story with the darkness of crime bosses and dirty cops and trying to stop them. Although Grant has his dark spots, he is a relatively good guy that means well, even if he is helping out a crime boss. Travis has her own things going and not just case of nepotism and the trouble she seems to find. Overall I really like the story. This is the first book of Matt Drabble’s I have read and I really enjoyed it. I can’t wait to read other books from him. 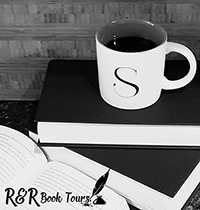 I received Grave Robbers from Sage’s Blog Tours for free. This has in no way influenced my opinion of this book.